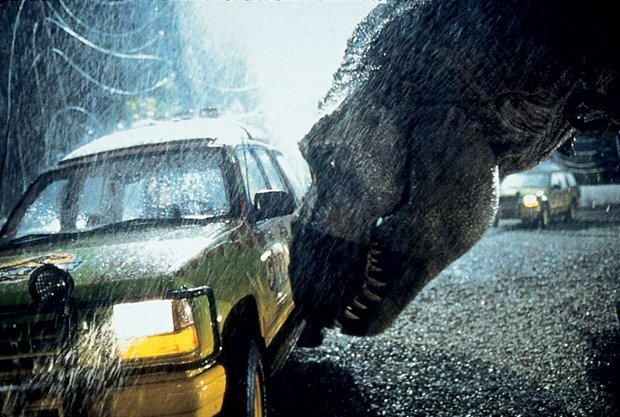 Classic film Jurassic Park is to tour across the UK with a live orchestra to celebrate its 25th anniversary. Tickets for the tour go on sale at 10am on Fri 16 Feb. The classic adventure film, the first – and widely considered to the best – in a successful franchise, was first released in 1993. Starring Richard Attenborough as eccentric billionaire John Hammond and Sam Neill and Laura Dern as palaeontologists Alan Grant and Ellie Sattler, it invited viewers to roam in an island theme park, populated by cloned dinosaurs. The film features music composed by John Williams, and for the tour the score will be recreated by the Czech National Symphony Orchestra. It all kicks off at Brighton Dome on Sat 8 Sep, finishing up at Portsmouth Guildhall on Wed 5 Dec. The tour also includes performances at Glasgow's SEC Armadillo, Edinburgh's Usher Hall and London's Royal Albert Hall. Tickets for Jurassic Park with the Czech National Symphony Orchestra go on sale at 10am on Fri 16 Feb.